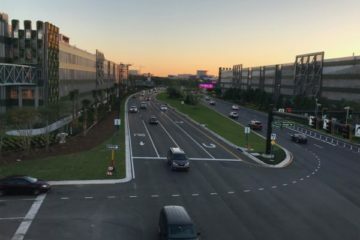 Construction on World of Disney began in February 2018 with the promise of completion before Christmas 2018. 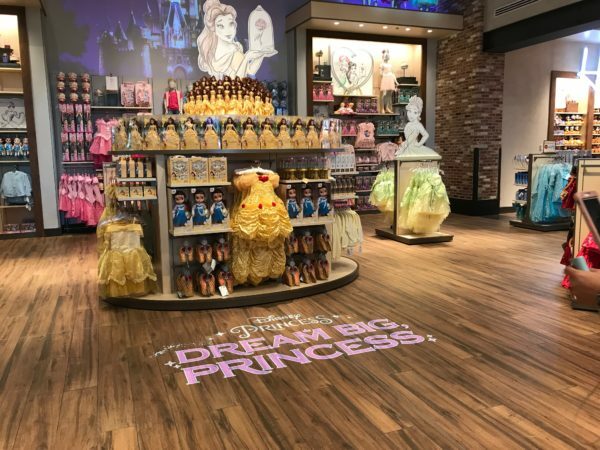 Since Disney couldn’t possibly shut down the largest, most profitable Disney Store in the world, they decided to complete the project in two phases. On Saturday, October 27th, I attended the grand opening celebration of World of Disney. Here’s a tour of the store. It looks very different from the former design, but the footprint itself hasn’t changed. The store feels much larger and more open. DIsney revised floor plan and removed many of the walls. They enlarged the capacity of the fixtures so there isn’t less merchandise on hand. Everything from the displays, signage, and lighting – literally floor to ceiling – has been reimagined. 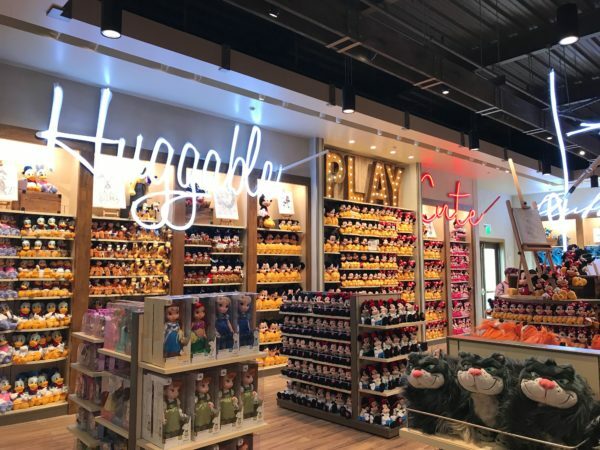 The World of Disney Store in Disney Springs is officially reopened after months of renovation! 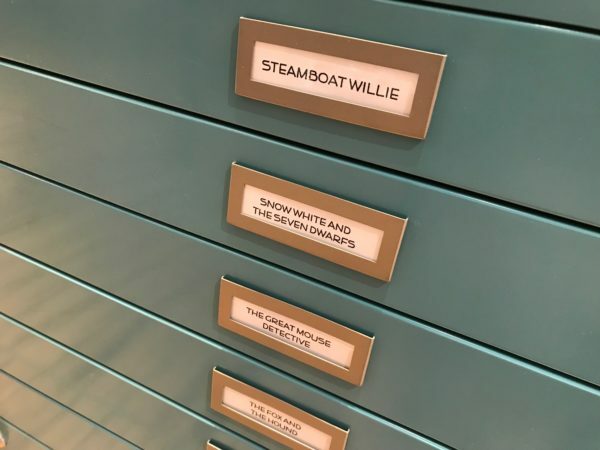 The development and design took Imagineers more than a year, and I think you will pleasantly surprised at how much Disney magic and special surprises shows up in the store. I might even say that the new design has more magic than its predecessor: There are special touches and story elements everywhere. 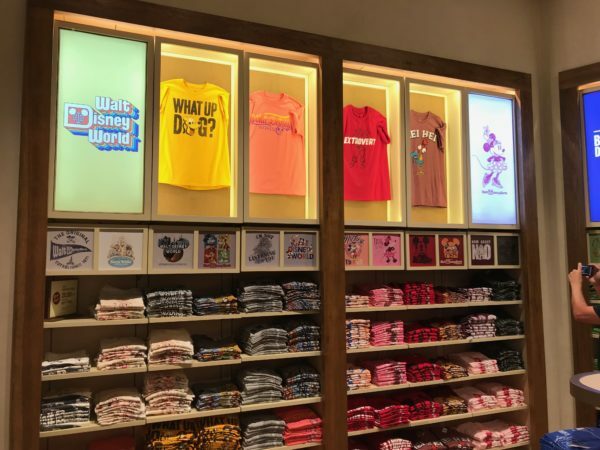 Let’s take a look at the new World of Disney Store in Disney Springs! The new World of Disney Store now fits the theming of the surrounding area, which was also recently remodeled and is reminiscent of days gone by in Coast Florida towns. In fact, as the story goes, the World of Disney Store was originally a 1920s farmers market. 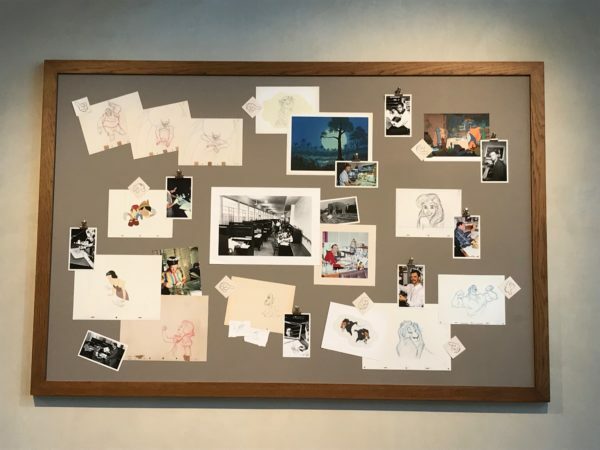 As supermarkets opened up, there was less need for such a marketplace, so Disney artists came in, purchased the building, and made it an animation studio. 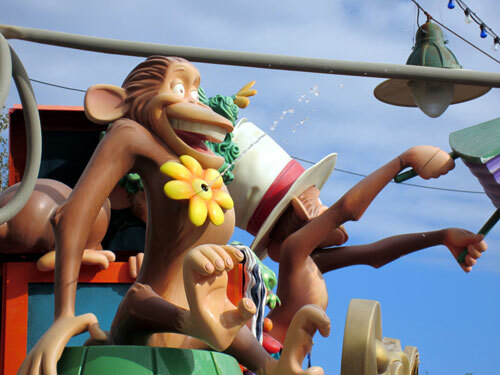 The studio was there for about 35 years; when the studio closed in 1989, which is, not coincidentally, when Disney’s Hollywood Studios opened, the animators left much of their stuff behind. 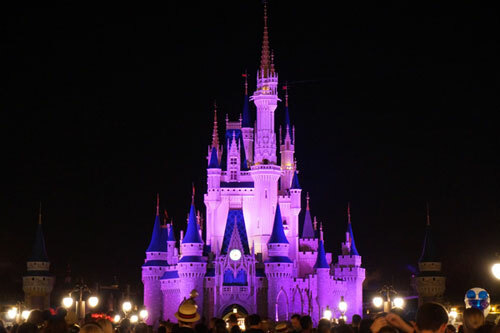 Now, residents wanted to shop in the area, so Disney made it into a new kind of marketplace. 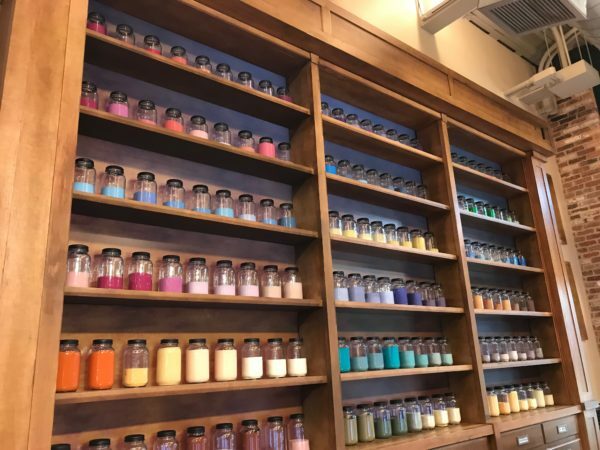 This “stuff” is still full of magic, and it regularly comes to life while guests are shopping! While you’re standing at the checkout, watch for Tinkerbelle to fly around the area bringing the magic to life. Animators left some magic in their ink behind! Speaking of check out, the animators’ desks serve as the cash wrap areas. Before you set your finds down, look at the desks. Each animator left some drawings on the surface. 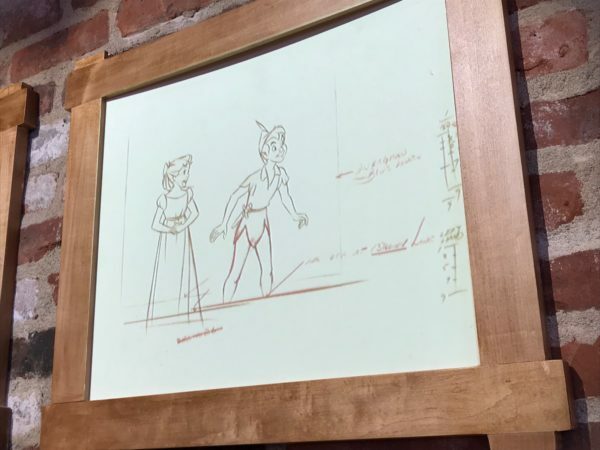 The drawers in the desks also apparently hold some drawings from classic Disney movies! 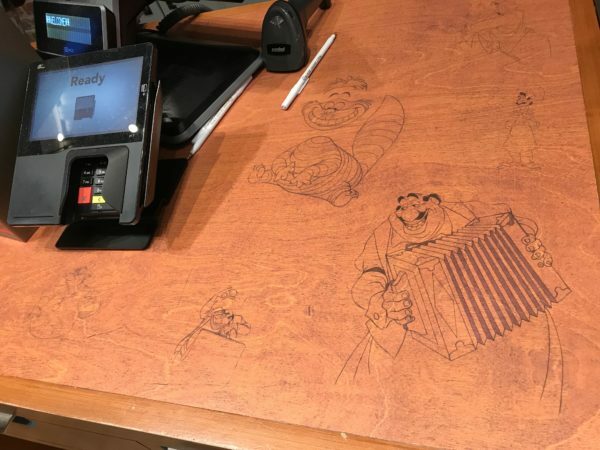 Some animators even drew on their desks, which are now used for the checkout counters! The drawers of their desks honor some of the best Disney movies of all time! 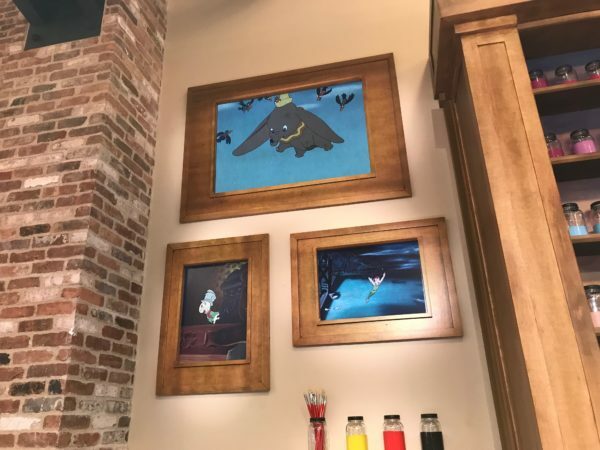 Some drawings that the Imagineers “found” as they were converting the marketing place even made it onto the walls, and it’s no surprise that they’re also enchanted! Look for white posters on the walls- at first they’re blank then pencil drawings magically appear! This board honor’s Walt’s nine old men, the original animators who created some of Disney’s early classics. The animators even left some of their sketches behind! The sheets start out blank then magically show pencil sketches of classic Disney characters. 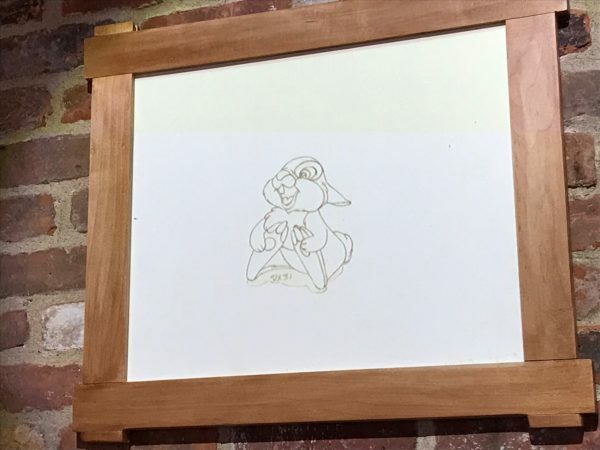 Look how cute this original drawing of Thumper is! Even these movie posters come to life every now and then! There are three spaces in the store each with a different theme: Mickey Mouse Club, Holiday, and Princess. We’ll have more in this later, but first I want to show you the incredible chandeliers in the Princess Room. 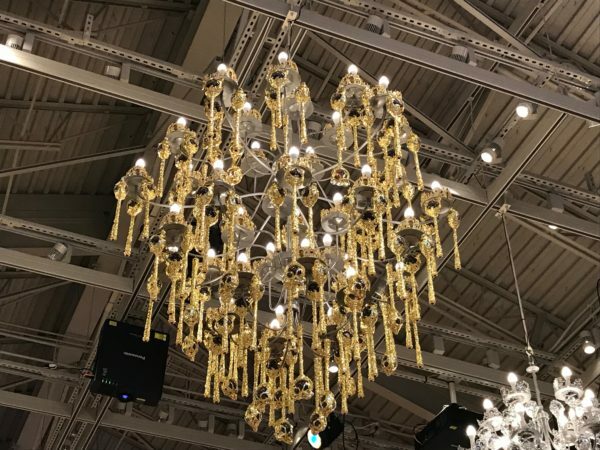 They may look like any baroque chandelier, but this one is made of tiaras and scepters from the Disney Princesses! The chandeliers in the Princess room are made of tiaras and scepters. The store itself has a loft feel, which is appropriate for the backstory. It’s very open and airy, and I felt like the layout guided my journey through the store in a way. 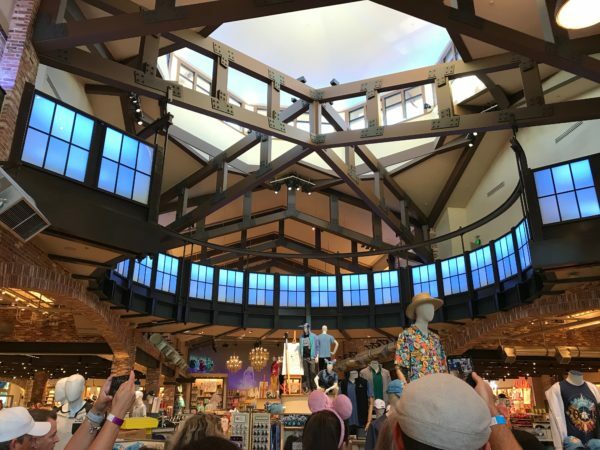 The whole store has been reimagined and rethemed to a loft-style building, which first served as a farmers market then a Disney animation studio and now a store. During the Grand Opening, there were several Cast Members on hand to answer questions. Besides the Imagineer that told us about the Disney magic and overall story of the store, I also heard from the Manager of Soft-lines and Accessories who told us about the items we can buy in the store. As I mentioned above, there are three themed areas in the store. Let’s take a look at each one! Here’s a look at the Mickey Mouse Club themed room with brand new merchandise with a vintage feel! The Mickey Mouse Club Room, has a vintage vibe and is just in time to celebrate Mickey’s 90th birthday! 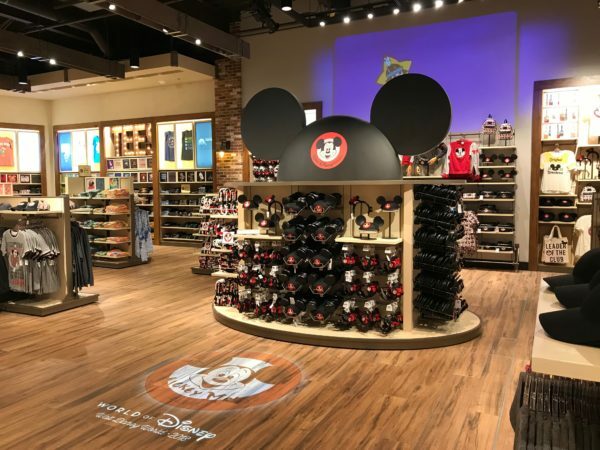 You can shop around a variety of products including featured Ear Hats, totes, and clothing all while listening to the Mickey Mouse Club theme song. One new thing in this area is the t-shirt wall. 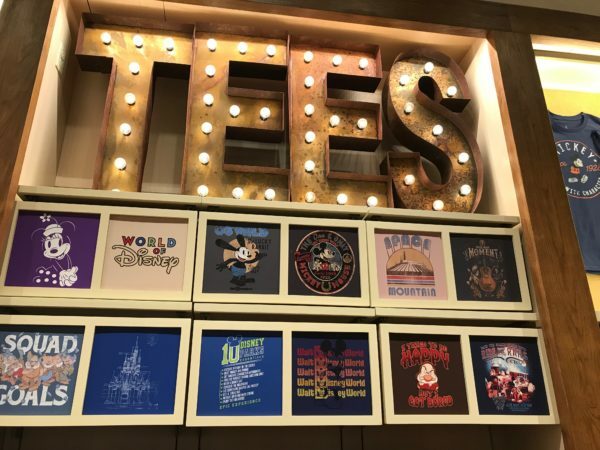 This wall will feature graphic tees in both adult and kids sizes from secondary characters and under-represented attractions like the Tomorrowland Transit Authority PeopleMover and The Carousel of Progress. Perhaps Disney has been watching the March Magic Brackets closely? Disney is launching a brand new line of graphic tees! These new tees will feature under-represented characters and attractions that don’t get as much attention as they should! Most of them have vintage themes, which are really popular right now! The Princess room celebrates some of out favorite Disney Princesses with Princess dresses, dolls, and other attire and accessories. In fact, Cinderella’s gown is made up of Cinderella dolls! Cinderella’s dress in the Princess room is made up of Cinderella dolls! Each room has the theme projected on the floor in a really cool design! The Holiday Room will be seasonal depending on what’s going on at the time. Both the Imagineer and the Soft-lines Manager said that these rooms will change regularly, so it will be different every time you come! Right now, the room holds our first look at Christmas merchandise for this year. This room will also hold merchandise for special events. 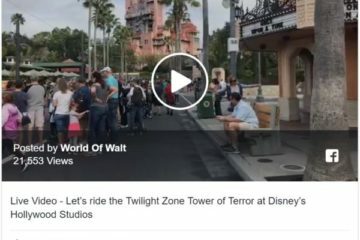 For this reason, Imagineers and designers must work a year out to design merchandise that meets the seasonal need but also what movies or even new attractions will be launching. 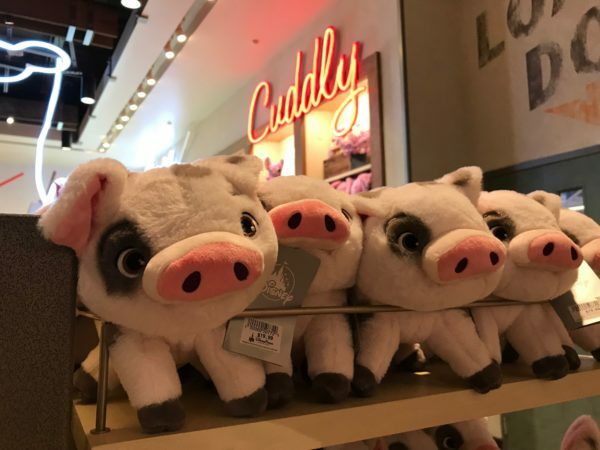 There are also a variety of Huggables from classic Disney characters to new ones like Pua, the pig from Moana. 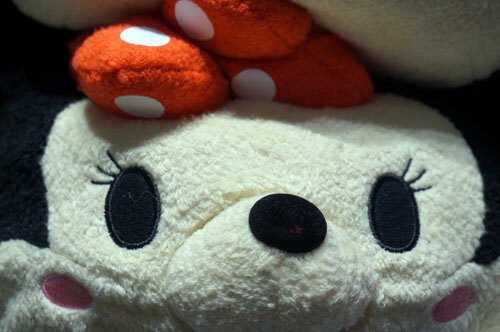 World of Disney has plenty of huggable stuffies! You can find a variety of huggable characters like Pua from Moana! Finally, there’s a large section devoted to Star Wars, which will be the theme of a new land coming to Disney’s Hollywood Studios next Fall. 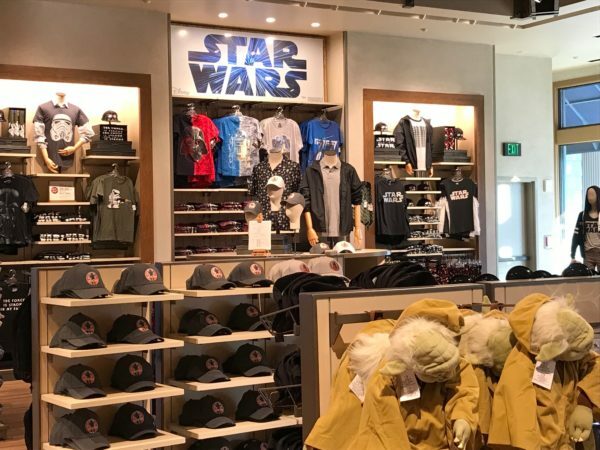 Star Wars: Galaxy’s Edge will be opening next year, so World of Disney is carrying lots of Star Wars merchandise! 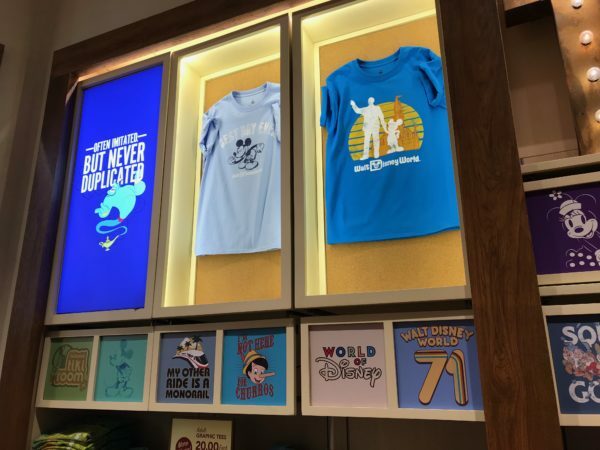 All of the merchandise here highlights what’s new and current while celebrating what we recognize as classically Disney. The store is laid out very well so not only is the overall shopping experience improved, but the souvenirs feel more like décor than merchandise on display for sale. 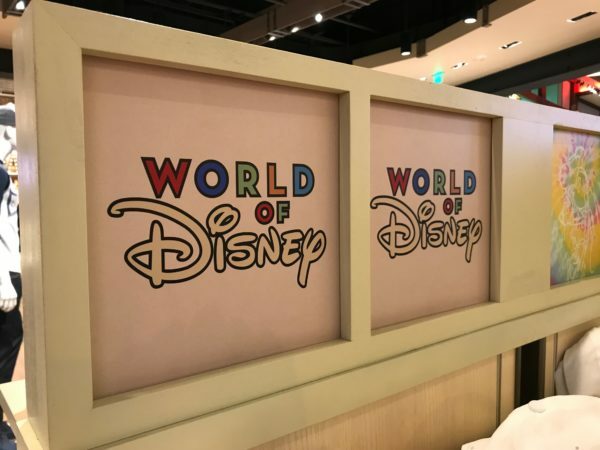 There’s also one more item in World of Disney that you can only purchase at this store – for now! 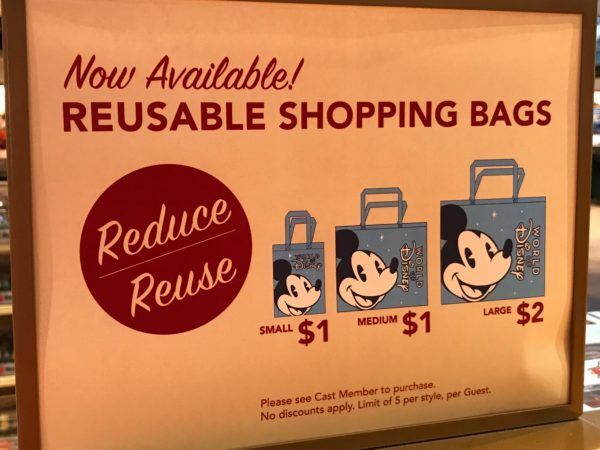 World of Disney is the first store on property to sell the reusable bags instead of plastic ones. While the plastic bags are still available upon request, you can get one of the reusable bags for $1 for the small and medium bags and $2 for the large bags, which are great to carry around your souvenirs, but then you can use them to bring home your groceries or send them with your kids to a sleepover. World of Disney gives us our first look at the reusable bags that will soon be sold all over Disney World! 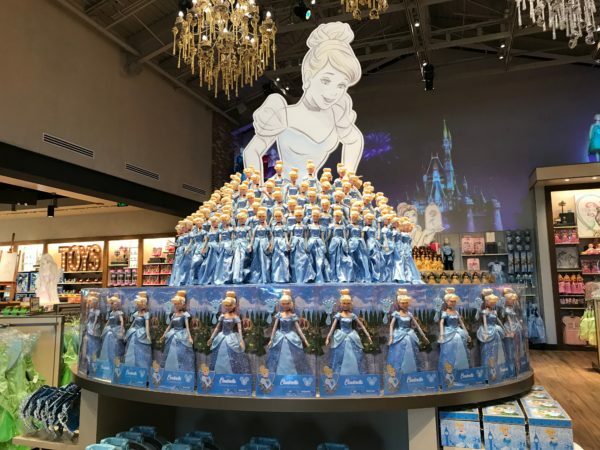 New World of Disney store: enough Disney magic for you? 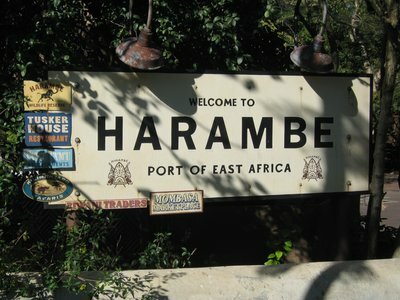 Whatever Happened to the Equatorial Africa Pavilion?